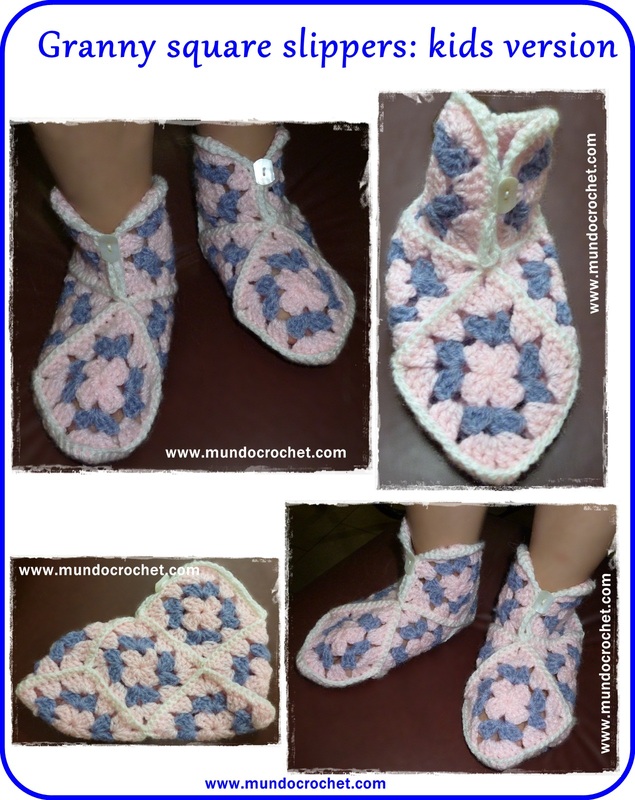 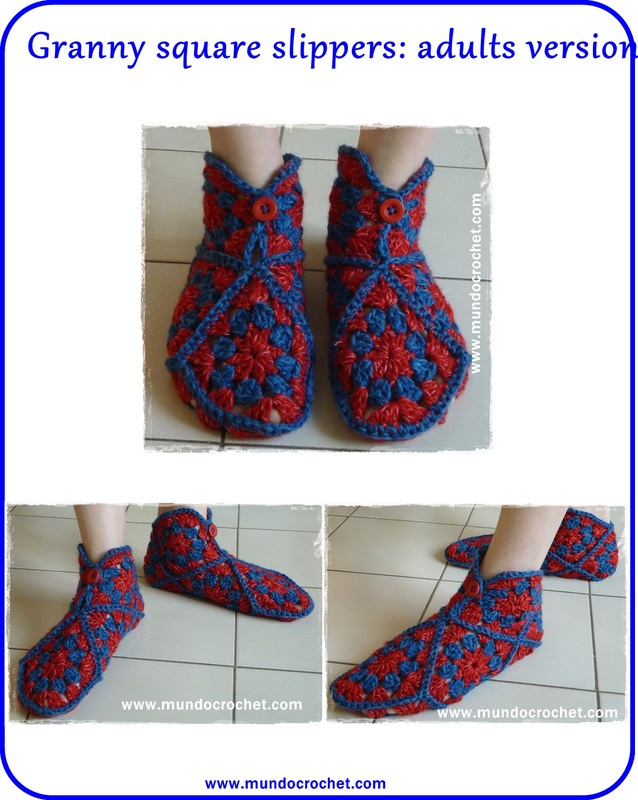 Over 20 years ago my grandmother gave me a pair of crocheted slippers that I wore until they broke old. 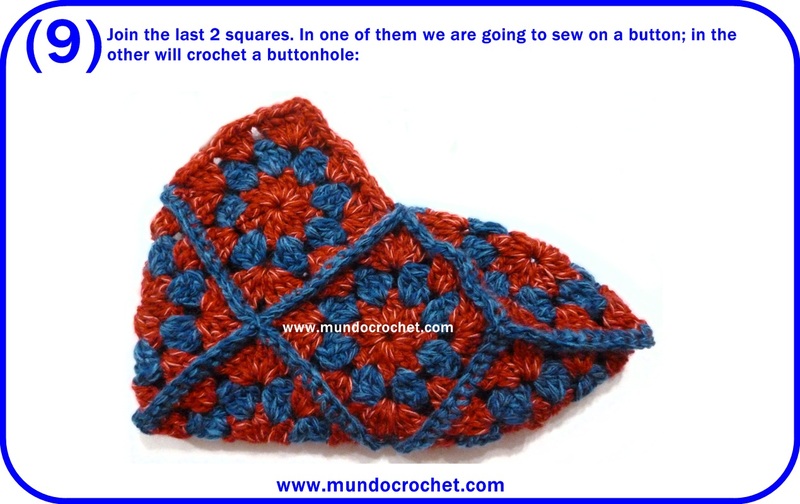 Luckily, instead of throwing them away, my mom kept one and gave it to me recently so I could use the pattern to crochet a pair for my daughters. 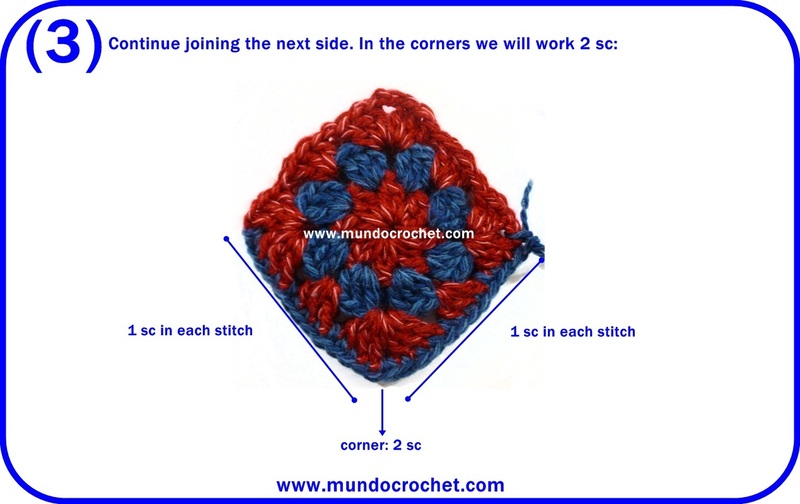 It is a very simple design, but with a beautiful result. 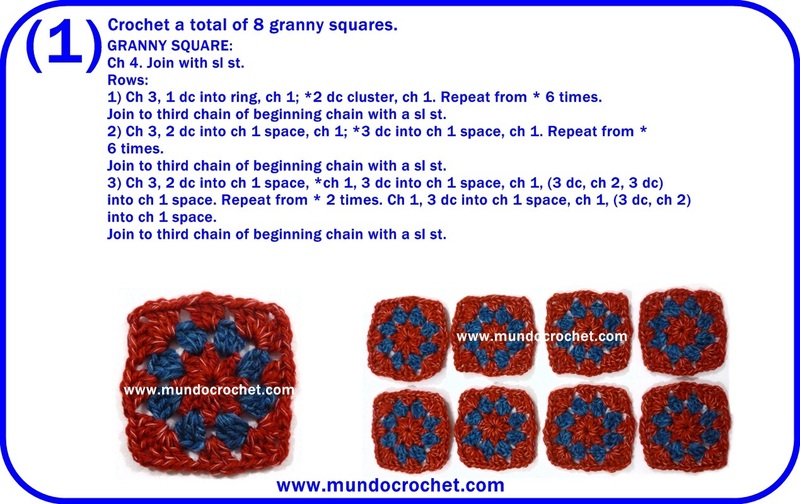 You only have to crochet 8 granny squares using the pattern and colour combination that you prefer (there are infinite combinations that you can do) and join them following a scheme. 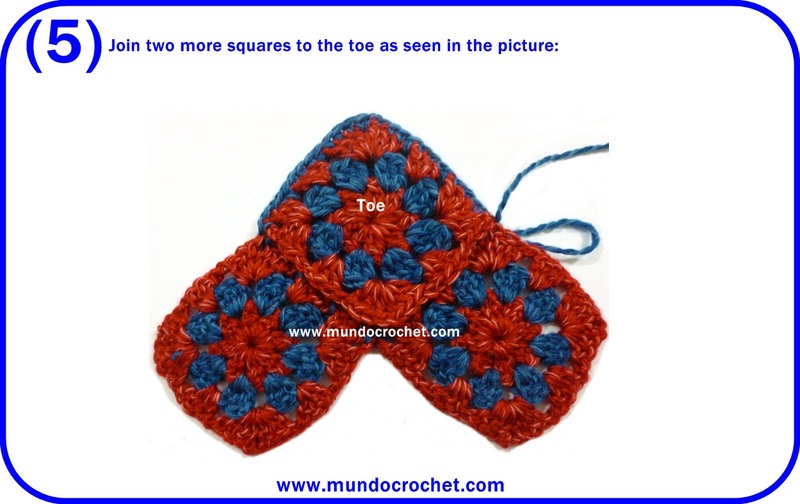 In the photos above you can see 2 versions, one for adults crocheted using a granny square pattern where the center is round; and one for children crocheted using the pattern of the classic granny square. 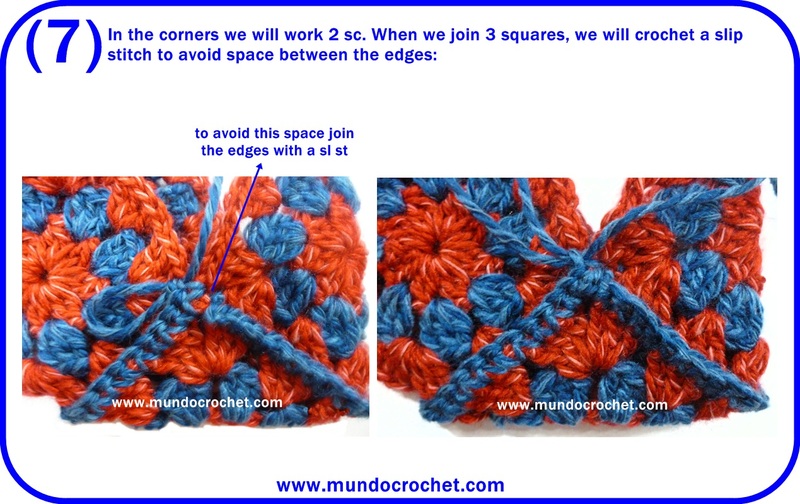 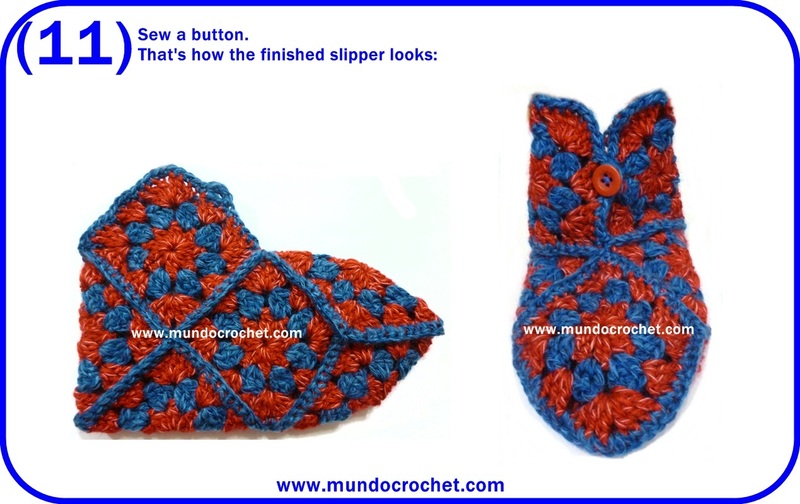 You can use single crochet stitch, slip stich or sew the squares to join them. 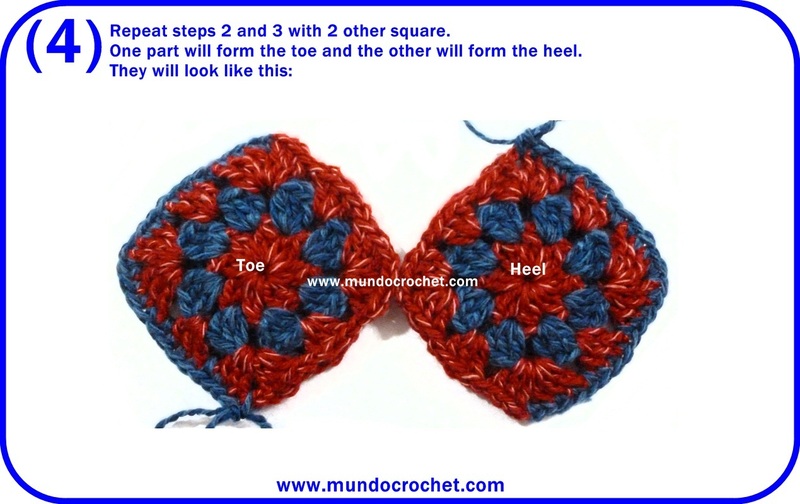 The final result will be the same. 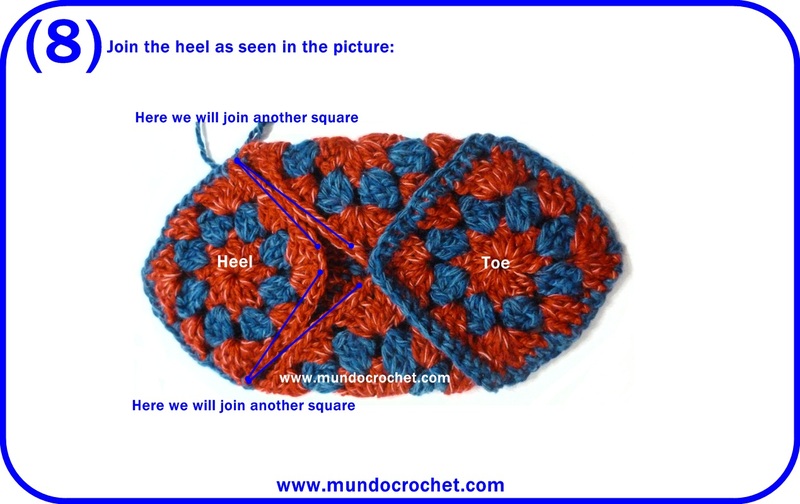 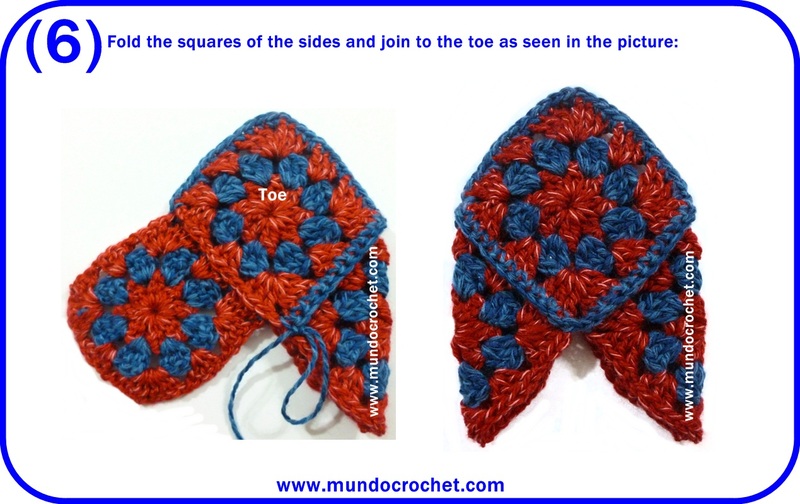 The order to join the squares depends on what you prefer, you can start with the heel squares, the toe squares, in the sole. 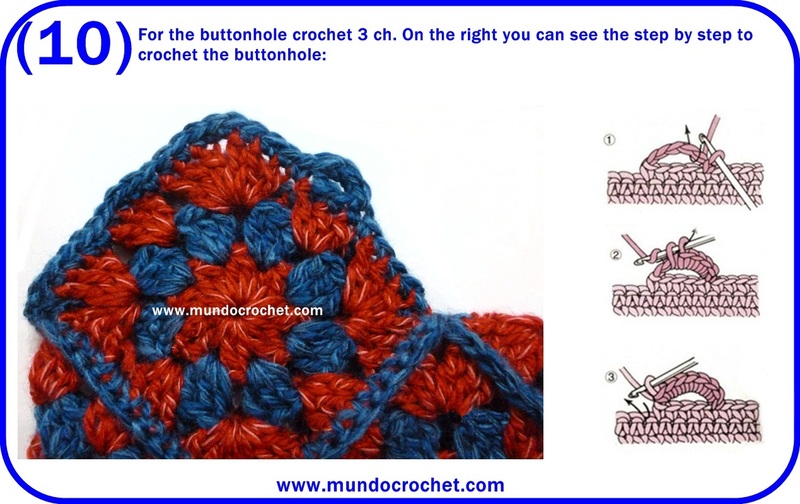 If you follow the diagram, the final result will be the same. 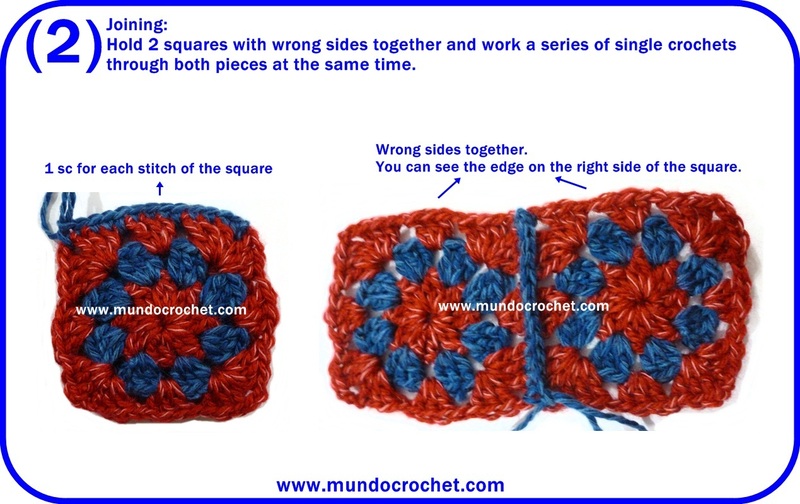 To adjust the size, you only have to add more rounds to the square.